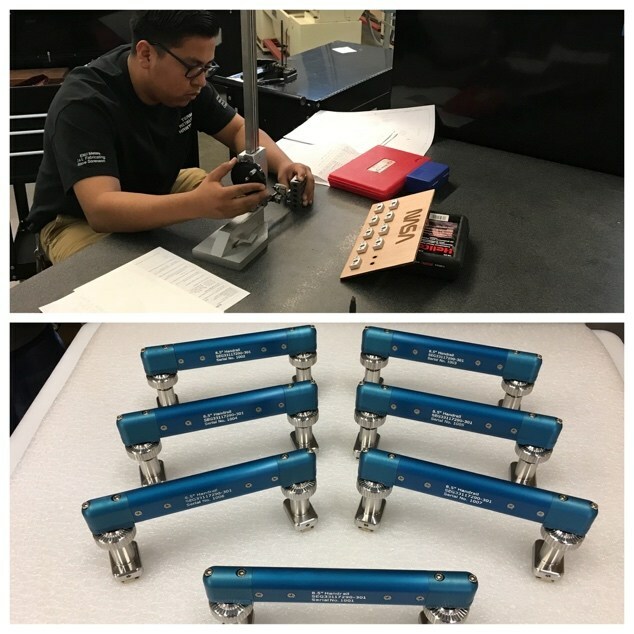 Hawthorne engineering student, Alex Lopez, was tasked with a project for NASA during his time in their on-site internship program, NASA Hunch. Hawthorne is one of only forty schools nationwide participating in the manufacturing portion of the program. The Hawthorne High School of Engineering and Manufacturing (HHSME) along with industry partners and alumni, began working to create successful products that are capable of passing a rigorous inspection before being accepted as flight parts for the International Space Station (ISS). Lopez, along with a small group of engineering students and mentors from the industry, worked meticulously to create 10 flight parts. All 10 of Lopez's parts passed the NASA inspection and have been accepted as flight parts that are now in the process of being assembled as part of a Hand Rail System that will be flying to the ISS in a future mission. As a result of Lopez’s hard work and ensuring his parts exceeded expectations, HHSME has the pleasure to announce that NASA has requested 50 additional parts!